Inclusion on this website does not imply an acceptance in any way by the society. The society accepts no responsibility for any material listed herein. The society will not respond directly to any comment relative to these publications. The content of the listings herein is the sole responsibility of the contributor. The executive reserves the sole right to exclude any submitted listing. Hey – that’s the formal bit ….. enjoy already!! Several members of the society have written, published and/or now distribute books which may be of interest to other members, and indeed the general public. These may still be available new, or sought after through the second-hand book market. Where possible, a source of the book is indicated. Anyone interested in any of these books should contact the distributor direct – please do not contact the society. At the end of World War I large areas at the top and bottom of the globe were still vast, cold mysteries. Into these blanks on the map explorers flew, urged on by their sponsors to achieve “firsts,” by their governments to claim new land, and by a public fascinated with moving pictures and radio broadcasts. In March 1926 Wilkins and Byrd, along with veteran explorer Roald Amundsen, were locked in a race to the North Pole. A year later, while Amundsen was involved in the bitter dispute that cost him his life, Byrd announced he would fly to the South Pole. Wilkins was hired to beat him. Late in 1928 they unloaded their planes on opposite sides of Antarctica and prepared for the last great race in polar history. It was a race that ensured Byrd’s place as an American icon and during his life no one dared question his claims. It was only after his death that he was accused of being “the greatest fraud in polar history.” Wilkins died in 1958 and disappeared from the history books after his wife locked away his records and diaries. 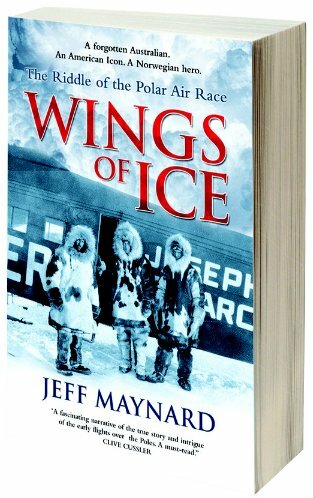 Wings of Ice lays out clues then challenges the reader to solve an 80-year-old mystery, while bringing to light an untold story of courage, daring, and adventure. Jeff is currently Editor of Classic Diver Magazine. ‘How an Australian and New Zealand team salvaged eight tons of gold from a German minefield’. This is a remarkable story, and Jeff Maynard tells it very well, but it annoys me when the publisher’s lie to the public with a comment on the back of the book – ‘50 years later, the true story of one of the most remarkable missions of World War Two is finally told’. The author is well known for his many well researchedand fascinating articles on diving history that appear regularly in thediving magazines, as well as his book ‘Niagara’s Gold’. The first thing I checked out was to see if there was any mention of Noel and Kitty Monkman- and there was, indeed a very good tribute to these pioneer Australian film-makers. The seven major chapters cover: The Standard Dress Divers, The Pearl Divers, The Inventors, The Salvage Divers, Divers at Work, TheNavy Divers, The Scuba Divers. Thus the book covers commercial and military operations, police, pearl and navy divers, and the introduction of recreational scuba into Australia. A great read, educational and entertaining. And did you know – the single-hose regulator, now used by divers worldwide, was invented in Melbourne? All books are offered at 20% discount off retail shown, to HDS Aus-Pac members. (Mention that you are a member). Order by email to peter@oceans.com.au. Dive Australia – A handbook for Scuba Divers. 5th Edition. 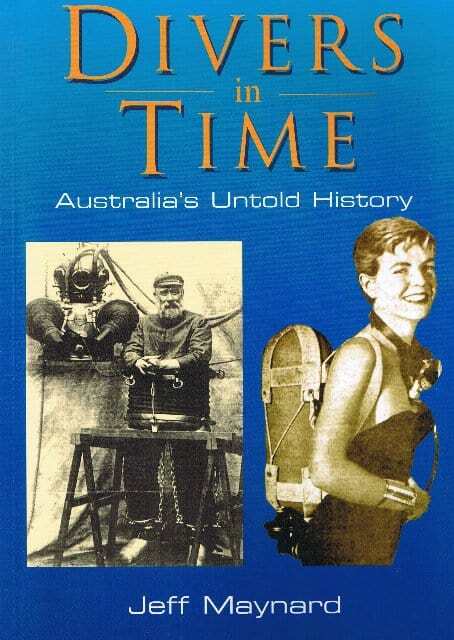 A history of diving in Australia is covered and the HDS-SEAP is well represented. Covers dive locations by all states, and islands; services. Chapters include Taking the Plunge, Historic Shipwrecks, The Law and the Diver; Speiality Diving; Diving Overseas, Dive related Associations; Travel Facts; Emergency and Hyperbaric. See the Dive Australia webpage or enter on the image for further details. 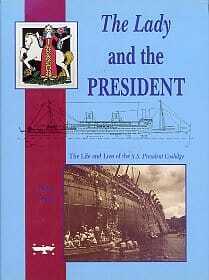 The Life and Loss of the S.S. President Coolidge. Wrecked off Espiritu Santo on 26 October, 1942. Covers the loss of the liber/troopship due to a ‘friendly’ mine in the approach channels to the US base at Espirity Santo, New Hebrides (now Vanuaru). Includes the ‘evacuation’ of the sinking ship in which two lives were lost, the several enquiries held, aimed at finding a scapegoat – the civilian captain of course.Diving the ship, classed as the ‘largest accesible shipwreck in the world’, is covered in some detail. Also included is the loss of thedestroyed USS Tucker. A great book for the diver and also for the men and families of the five thousand servicement on board who did not avoid their duty at Guadalcanal – merely delayed it for a few months. Third edition now available. Hardcover, dustjacket, 320 pages, plus sixteen colour plates, maps, deck charts. 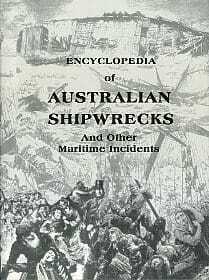 The Encyclopedia of Australian Shipwrecks includes no less than 15,600 alphabetic entries of vessels of all rigs, sizes, and shapes, that have been lost, or involved in a major maritime incident. It includes vessels lost on ‘The Australia Run’, and vessels lost anywhere in the world, providing they have some connection with Australia, through previous arrival in Australia, construction, or ownership. The Encyclopedia is the definitive reference on Australian ship losses. Such a listing has never before been achieved. That it has now been published is due to the extensive primary research of some three hundred authors of shipwreck and maritime publications. The objective is to provide a short entry for each vessel, with relevant physical details, history, and information on her loss or incident. This is followed by a code to a published book or reference so as to provide the reader with a means of finding further information; the encyclopedia is thus very much a bibliography. The ship listing may also include other incidents relevant to the vessel, an indication if her actual location if known, and her condition as she lies on the seabed, shore or reef. The Encyclopedia of Australian Shipwrecks is a most valuable reference for divers, geneologists, maritime archaeologists, maritime historians – indeed anyone interested in our maritime heritage.Hardcover, dustjacket, 1232 pages, 190 x 250 mm portrait size, a small number of photographs, 40 maps, gazetteer, glossary, bibliography, chronology, statistics, and research advice. Volume 6 in the series – AUSTRALIAN SHIPWRECKS. Covers those vessels lost between the United Kingdom and Australia. 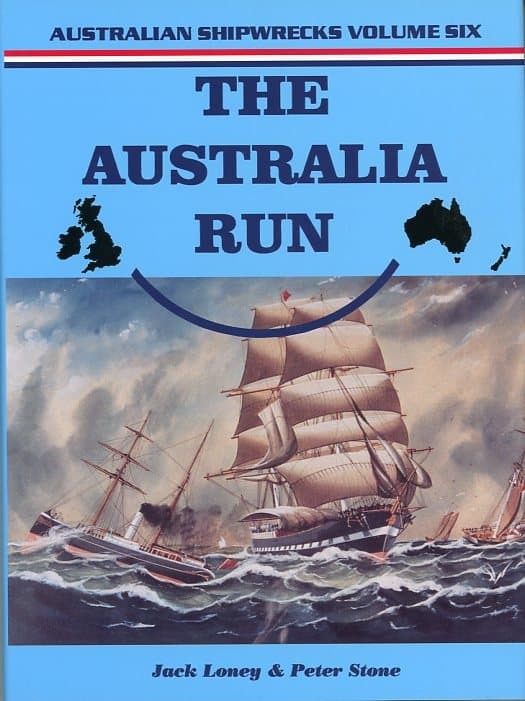 Although the final book in the series, The Australia Run stands alone in its coverage of the vessels lost, not only on Australian shores, but enroute to or from Australia. 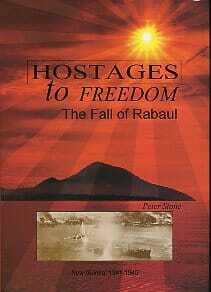 Claimed as the definitive work on the invasion of Rabaul, Papua New Guinea in January 1942, and the subsequent events that led to the bombing of the harbour, Hostages to Freedom – The Fall of Rabaul is one of the most comprehensive books on World War 2. Chapters of interest to divers are devoted to identification and diving the shipwrecks in the harbour, and aircraft wrecks in the vicinity and elsewhere in New Britain and New Guinea. A significant section covers the post-war salvage of ships, aircraft and war surplus. This is truly a remarkable book and has been exceptionally well reviewed. Whereas it is predominantly a war history, it is also one of the most thorough publications documenting the loss of ships and aircraft in WW 2. ISBN 0 646 24124 9. Hardcover, large format, dust jacket, 598 pages, gloss art paper, maps, charts, 560 photographs, extensive appendix, index and bibliography. Monica Foster and Peter Stone. 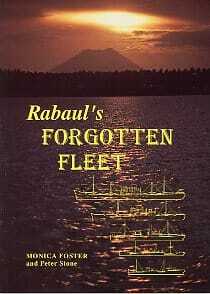 Rather prophetically titled, this excellent book gives a detailed description of the fifteen major war wrecks in Rabaul Harbour. Several of these may never be dived again – the Hakkai and the Kensin were buried during the 1994 eruptions. The book commences with a brief war history before launching into a detailed hold-by-hold description of the ships, and aircraft – and the crane off the Kokopo Road. Detailed drawings and photographs are included. Softcover, medium format, 158 pages, mono and colour plates. Bil is a pioneer diver and dive-shop owner initially in Melbourne, and one of the earliest author’s on diving in Australia. Softcover, 282 pages, many mono photographs. All early Melbourne divers in the fifties, sixties and early seventies would remember Bill Silvester, or at least certainly know of him. Through the Black Rock Underater Diving Group, and his Associated Divers’ Academy (which he founded), many would have been trained by Bill and his insructors at ADA. After a soujourn in spearfishing (like so many others), Bill easily moved into scuba in the early days of the development of the sport. It is his reminiscent memories of these early days of the establishment of scuba in Melbourne that make the book so interesting – and as a valuable document in the oral – and now written – history of the sport. I was a johnny-come-lately to scuba and not trained by ADA in 1970, but five or so years later I did a ‘refresher’ course with ADA to gain the FAUI open water card, then a necessity (along with others) to get a fill, hire gear etc. By then Bill had moved on to New South Wales. 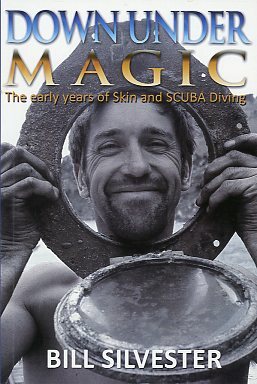 Down Under Magic is what I understand to be the first in maybe a trilogy of Bill’s autobiography, and for Victorian divers, the most interesting I am sure as it reflects the play-ground that we are so familiar with. After a couple of chapters of Bill’s early life as a young Pommy immigrant, (he arrived in Melbourne in 1946), Bill shares his early days of spearfishing before scuba. Surprisingly perhaps, it was Bill’s father who saw a spearfisherman off Mornington one day which encouraged the elder Silvester to take up the sport, and young Bill soon followed, with such enthusiasm that is still typical of the man to this day. Spearfishing championships followed, and the formation of Black Rock Skindivers, as it was then. As scuba entered the scene and ad-hoc training was by friend and clubs, it was inevitable that commerial scuba courses would soon follow. The establishment of ADA (when?, I could see no date) resulted from a need – many spearfishers were itching to get on to scuba, (perhaps for the wrong reasons), and willing to pay four quid for a course. By now we are about half-way through the book, and Bill goes on to describe some superb dive sites around the Victorian coast and Bass Strait, Mount Gambier and the Capricorn Group (Qld), that we still enjoy. To many older divers, these reminisces will bring back fine memories. They were the pioneering days of wreck diving and Bill was not averse to putting a stick of AN70 down his pants and blowing up a wreck to retrieve the non-ferrous material. Even if not trained by ADA, the authoritive textbook for scuba training in the seventies was The Down Under Scuba Diver by Bill. He followed this up with The Magic of Scuba many years later. There are several reasons that establish Down Under Magic as a valuable book – its historic record (could use more dates, Bill! 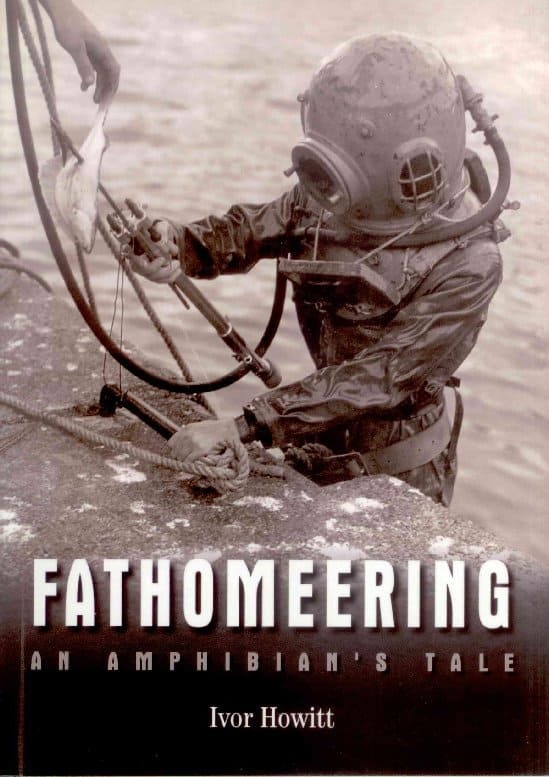 ), its parochial nature of Victorian divers, and its easy casual read. It’s the sort of book that you can dip into, or just read of those wrecks and incidents of relevance to your own past. It is certainly a book for us oldies, but the younger divers would do well to read of how scuba was developed in Victoria. Quite fascinating really. Bill and his mates were true pioneers of diving in Australia. Retailing for $24.00. (Details above – Members review – Peter Stone). First edition August 1974, Ian McNiel (publisher). It continued to at least five editions up to 1979. Softcover, 160 pages, a few mono photographs, several charts and drawings. 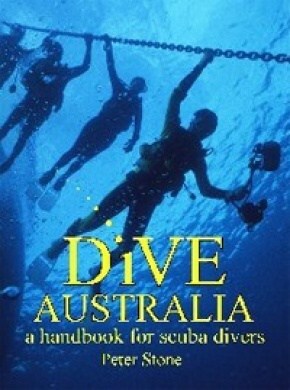 Most Aussie divers in the 1970s and 80s, like me, regarded this book as the veritable bible. It was our textbook, our lifeline to supplement the meagre practical instruction given at the time by the many self-claimed experts who saw instruction as a means to supplement the income. It has to rate as the most important dive manual for Australians ever published. And it was a sensible book – concise yet covering more than the basics of physiology, technique, equipment – it even went into (briefly) marine life, underwater photography, and dive locations around Australia. Out of print. The Magic of Scuba – A Complete Introductional Guide for the Australian Diver. Bill Silvester, with Dave Perry and Greg Blackburn. Wedneil Publications, Melbourne 1987. ISBN 909853 15 0. Softcover, 442 pages, mono prints and drawings. In some respects this is a larger must updated version of The Down Under Scuba Diver, covering virtually all there is to know about scuba diving and diving activity – well, nearly everything. It is a superb book, but it did no sell well for a number of reasons, foremost being that at the time of release the dive training associations were issuing their own ‘diver manual’. The Magic of Scuba would have been a great addition to the basic instruction given at the time, but the demise of the publisher and problems with distribution at the time did not do the book the justice it deserved. Even today it is a most useful book. Out of print. 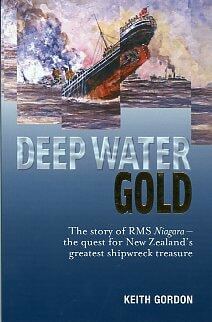 “The story of RMS Niagara – the quest for New Zealand’s greatest shipwreck treasure.” The tale has been told before, by Taylor in 1942, Maynard in 1996, and now Gordon in 2005. So what makes this book any different from its predecessors? Surely the story is the same. What new material could entice the reader? Gordon covers the initial recovery of most of the gold, and the later attempt by the original diver diver Johnno Johnson for the recovery of the remaining 35 bars of gold in the 1950s. Comparison between previous authors is not necessary. Sufficient to say that Gordon is an excellent researcher and author. Halfway through the book we come to the present time, or a decade or two ago, and under the appropriately titled chapter New Tools, the Niagara is visited by an ROV team, and the book takes a decidedly modern turn with ROVs, and high tech diving using mixed gases to visit the wreck at 300ft plus. This is modern-day diving at its best, utilising thge highest skills and first class equipment to reach a ship that has been beyond the reach of recreational divers for over have a century. This is diving that few will follow, but those who do experience the thrill of diving where few have been before, and utilizing the utmost of skills gained through thorough training. Gordon describes these dives with competent technical detail fascinating for those, like myself, who not venture down that path. 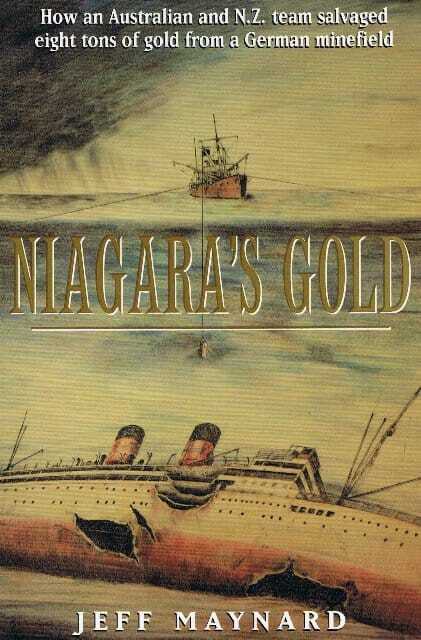 Yes, another book on the Niagara, but with something extra to offer. Superb!. And by the way, there are five gold bars left. Softcover, 240 pages, mono and colour prints, index, glossary, bibliography – an excellent production. Available through Keith or Oceans Enterprises. Steve is a pioneer in diving and former Committee Member of the HDS Aus-Pac. Standard Dress Sport Diving. 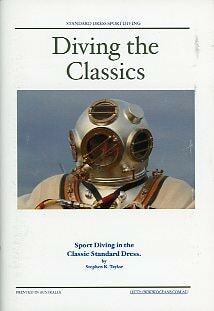 “A Practical Guide to Sport Dive the Classic Standard Dress Diving Helmet”. This very informative book came about because of the interest of recreational scuba divers (and indeed non divers) in the use of the traditional old “hard-hat” equipment used exclusively before the advent of on-demand scuba and surface supplied hookah diving. It is only recently that the fascinating use of this early design diving apparatus by recreational divers gives an added perspective of their enjoyment underwater. The physics may be the same as scuba but the operation and enjoyment is a new experience that is growing to such an extent that many divers are now buying old equipment and fully restoring it for recreational use, or even buying new equipment which, perhaps surprisingly is still available. Of particular interest is the fact that in 2009 and 2010, a recreational standard dress course has been conducted in Portland, Victoria, by Professional Diving Services with the endorsement of the international NAUI organisation. This excellent book gives a very useful background for anyone interested in standard dress diving, both from an historic and a practical perspective. It describes in some detail some of the ‘hardhat helmets’ that are currently used recreationally, and the accompanying accessories such as the dress, boots, weights etc, describing the equipment terminology and its fundamental use. Barry Andrewartha was the first to publish a book specifically on spearfishing in Australian waters. He went on to produce the magazine Skindiving in Australia in 1971, which led on to the current Sport Diving magazine. All books listed here are well out of print, and hard to find. These books are now in demand by those who like to take a fish or two, and are the first in Australia to describe specific diving destinations. SPEARFISHING IN VICTORIA. Barry Andrewartha. Published 1967. Early 1968. Wedneil Publications, Newport, Victoria. Softcover, 96 pages, mono photos throughout. SPEARFISHING IN SOUTHERN N.S.W. Barry Andrewartha and Robin Montcalm. Published 1969. SPEARFISHING IN NORTHERN N.S.W. Barry Andrewartha and Peter Kemp. Published 1969. All three above: Softcover, 68 to 88 pages, mono photyos throughout, hand-drawn coastal chaarts. Early 1970s. Wedneil Publications, Newport, Victoria. A Guide to SKINDIVING AND SPEARFISHING. Barry Andrewartha. Australian Sport Publications. 1970 (maybe 1971). ISBN 86895 024 6. Softcover, 128 pages, mono prints. This was a reprint of Spearfishing in Victoria and Spearfishing for Sport and Pleasure. This is the story or Ivor’s own diving experience commencing in the early days of scuba. Ivor was born in Scotland and first dived in the icy waters of the UK before emigrating to the southern hemisphere. He now lives in New Zealand. Ivor was a true pioneer of the sport and was forced to build his own equipment in the early days of scuba. This is a must read for anyone interested in the history of diving.